This is a relatively newer brand on the market brought to you by the Vintage Point wine portfolio. The interesting thing about this "brand" is that whoever produces these wines sources the grapes from various parts of the world. There is Italian Primitivo, Argentine Malbec, Aussie Shiraz, Cotes du Rhone, and Napa Cab. I tasted three of the wines a few days ago and took some notes because I was interested in sharing what I thought with you. I've had the Layer Cake Shiraz for the last several vintages; it's been a strong value for my money ($15). I was surprised you gave it a 78 pt rating, but, could it be possible that it was a bad bottle? I'd love to hear your thoughts. I am thinking about taking your word on the Layer Cake Primitivo because I like the big fruity type wines. I've been to Calabria and the wines of that region always seem a wee bit too dusty???? They are way too dry for me and my wife. I love the Layer Cake Wines. I have had all of them and I feel they are solid, delicious wines for the price. The Layer Cake Primitivo in particular doesn't have that dried out, dusty tannins, dirty barrel taste that has plagued Puglia forever. I had the 2008 Layer Cake Shiraz two nights ago and thought it was the best one they've made to date, and your 78 point score is a joke, I found it to have wonderful layers of fruit and a long finish; in fact, an improvment over the in your face wine they made in 2006.
i bought two cases of the 08 after tasting a bottle that i felt rivaled the 06. unfortunately some of the bottles in the case are almost undrinkable (probably not even a 78) sour aftertaste. Others in the area agree and one restaurant pulled the wine. Anyone else having this problem? I agree with dad - my bottle was undrinkable and I poured 2/3 down the drain. Too many good wines to waste time on this one. 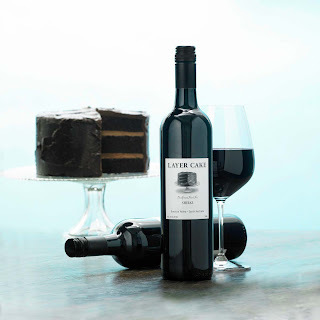 I just tried the Layer Cake Shiraz last night for the first time and was very impressed. I thought it was delicious. The bad case i had was taken back by the wine merchant who checked the wine and agreed it was bad. the distributer is checking into the possible cause. the good bottles have been really good. Not as good as 06, but good. I am so glad I took a look here. We loved the 2008 Shiraz, and I was soooo disappointed in the 2009! I just opened a second bottle and surprise!!! The first was bad. Is this a screw top issue? I can't imagine what else would cause this much difference bottle to bottle.